Prizes – Association for the Study of the Arts of the Present. ASAP is proud to promote the best scholarship concerning the literary, visual, performing, and media arts, and we are deeply committed to promoting the excellent work done by members of the association. To this end, the Association sponsors scholarly prizes for the best book each year and the best graduate student paper produced every other year at the Association’s biennial conference. ASAP’s book prize is awarded annually for the book that makes the most significant contribution to the study of the arts of the present. Books are considered without regard to specific political point of view, aesthetic position, country of origin, publisher, or topic: any book that discusses the contemporary ARTS may be considered for the prize. The prize is given for a book published in the year prior to the submission deadline, which is usually in March. The committee consists of 2-3 members of the association appointed by the Motherboard. The winner will be announced at the annual meeting of the Association and on all Association social media sites and will receive a prize of $500. The award is for scholarly rather than creative production (creative writing, original artwork, etc. ), though we understand that the boundaries between these can be malleable. 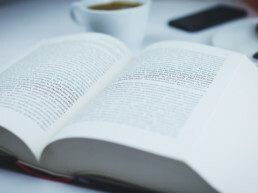 Jointly authored monographs will be considered, but textbooks, anthologies, and collections by multiple authors, including bound editions of special issues of journals, are not eligible. Critical media scholarship may be submitted in its publisher’s distribution format. Self-published work is not eligible for the award. All submissions must be reputably refereed publications. Books must be in English. Publisher, third party, and self-nominations are encouraged. There are no limits on the number of books that one publisher can submit. Authors need not be members of ASAP at the time of submission. Authors are encouraged to request their publishers to send 3 copies of their books to the book award committee for prize consideration. All graduate students who present papers at the ASAP biennial conference are invited to compete for the prize for the best paper written and presented by a graduate student at the conference. Papers are judged without regard to specific political point of view, aesthetic position, or topic: any paper presented at an ASAP conference may be considered for the prize. The winner will receive a copy of a prize-winning book from the ASAP Best Book Prize, a waiver of fee for the ASAP Luncheon, and a $100 cash award. Only ASAP members in good standing can submit work for consideration for the graduate student paper award. Papers considered for the prize must have been presented at the most recent ASAP conference. Papers may be self-nominated or nominated by members of the association who attended the conference at which the paper was presented. 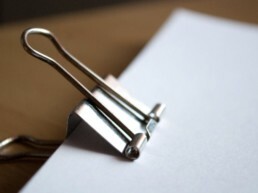 The paper must be the paper presented at the conference. It should not be in any way revised or edited for consideration by the prize committee. Longer papers submitted to seminars are eligible, but submissions longer than 12 double-spaced pages (works cited excluded) will not be accepted. Papers must be submitted electronically to the chair of the prize committee by the review deadline. 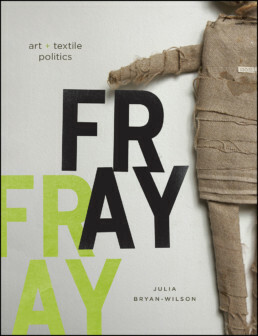 Amongst a very strong short list, the book prize committee recognized Fray for its inspiring mix of methodological innovation, sense of feminist and social engagement, and amazing re-articulation of contemporary art history around the material practices of textile art and craft in the United States and Chile from the 1970s to the present. Fray is a book that traces not only the emergence of an increasingly prominent artistic mode out of various craft and labor practices, but also shows how artists working with textiles–mainly women but also others operating on the margins of both the economy and the art-market–developed new material forms of expression and protest out of some of the most ancient technologies at our disposal as human beings–braiding, weaving, tying knots. Bryan-Wilson’s case studies explore the work of feminist knitting collectives, Chilean activists, emerging queer artists, and the vast numbers who contributed to the AIDS quilt. This is a book that provides a scrupulous examination of contemporary culture from the perspective of a medium whose materiality and immersion in bodily, physical labor challenge many of the stories we tell ourselves about art in an age of digital innovation and conceptual self-consciousness. At the same time, Fray assembles a picture of hemispheric contemporary art that offers scholars and critics in all the fields and area that ASAP embraces a chance to consider how female labor is valued, recognized, exploited, and made invisible. Bryan-Wilson’s work promises to change how scholars in various fields pay attention to craft-making practices and their representations in art, drama, literature, and everyday life. The 2018 ASAP Book Prize Committee members were Aimee Bahng, Mark Goble, and Rachel Middleman. Julia Bryan-Wilson, Fray: Art and Textile Politics (University of Chicago Press, 2017). Ramzi Fawaz, The New Mutants: Superheroes and the Radical Imagination of American Comics (New York University Press, 2016). Annie McClanahan, Dead Pledges: Debt, Crisis, and Twenty-First-Century Culture (Stanford University Press, 2016). The 2017 ASAP Book Prize Committee members were Sarah Chihaya, Jonathan P. Eburne, Ignacio Sánchez Prado, and Molly Warnock. Angela Naimou, Salvage Work: U.S. and Caribbean Literatures amid the Debris of Legal Personhood (Fordham University Press, 2015). J.D. Connor, The Studios after the Studios: Neoclassical Hollywood (1970-2010) (Stanford University Press, 2015). Paul Stephens, The Poetics of Information Overload: From Gertrude Stein to Conceptual Writing (University of Minnesota Press, 2015). The 2016 ASAP Book Prize Committee members were Marijeta Bozovic, Jonathan P. Eburne, and Matthew Jesse Jackson. Heather Houser, Ecosickness in Contemporary U.S. Fiction: Environment and Affect (Columbia UP, 2014). Sarah Brouillette, Literature and the Creative Economy (Stanford UP, 2014). The 2015 ASAP Book Prize Committee members were Jacob Edmond, Gloria Fisk, and Matthew Hart. Peter Osborne, Anywhere or Not at All: Philosophy of Contemporary Art (Verso Books, 2013). Min Hyoung Song, The Children of 1965: On Writing, and Not Writing, as an Asian American (Duke University Press, 2013). The 2014 ASAP Book Prize Committee members were Sarah Evans, Andrew Hoberek, and Joseph Jeon. Claire Bishop, Artificial Hells: Participatory Art and the Politics of Spectatorship (Verso, 2012). Jacob Edmond, A Common Strangeness (Fordham University Press, 2012). The 2013 ASAP Book Prize Committee members were Karen Jacobs, Jesse Matz, and Terry Smith. Kenneth Goldsmith, Uncreative Writing (Columbia University Press, 2011). Terry Smith, Contemporary Art: World Currents (Prentice Hall, 2011). The 2012 ASAP Book Prize Committee members were Amy Elias, Andrew Hoberek, and Melissa Lee. The 2012 ASAP Best Graduate Student Paper Prize judges were Matthew Hart and Jesse Matz.